Someone has painted the Doctor’s likeness into a famous poster by Toulouse-Lautrec, leading Mrs Wibbsey and him to Paris in the 1890s. The streets are thronged with artists and their muses – ladies Of The night such as the young girl La Charlotte. But a murderer is also at large, and Lautrec’s name is whispered with fear and suspicion. As they become immersed in the delights Of The Moulin Rouge and the shadows of Montmartre Cemetery, the travellers gradually uncover the gruesome truth about the missing women of Paris. 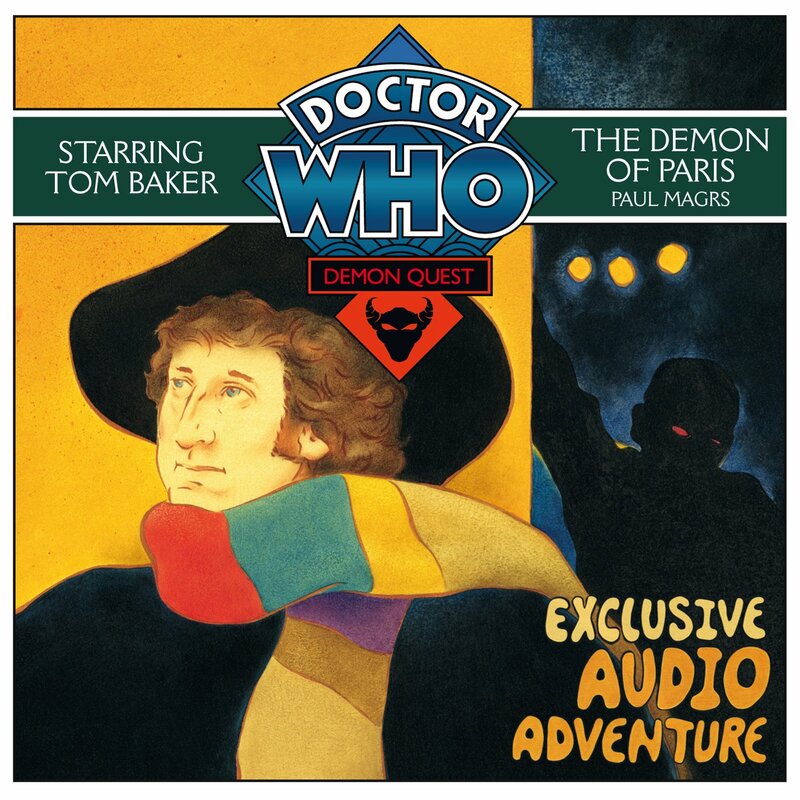 The Demon of Paris was the second story in the Demon Quest arc, a series of five audio dramas featuring Tom Baker as the Fourth Doctor. The cover is a reference to the fact that The fourth Doctor’s costume was inspired by Aristide Bruant by Lautrec. Rowena Cooper (La Concierge) would later play Angela Price in Lost in Time and Dame Emily Shaw in The Last Post. Mark Meadows (Henri de Toulouse-Lautrec) previously played Leon Foiret in Lost Souls.